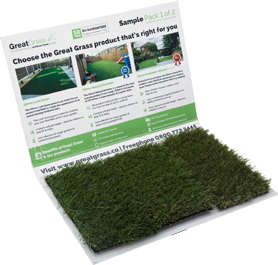 The average football field in the UK is over 150 feet wide and if you were to lay on the table how much time and money it costs to maintain such a large amount of land covered in natural grass you begin to understand how cost effective an artificial turf can be. After all, it does not require regular mowing, there is no need for weed killers or fertilizers and you’ll never have to worry about heavy rainfall calling off games that hundreds of pounds were poured into planning. Sports can be brutal on grass which means that there has to be a pot of money dedicated towards restoring and revitalizing the land. Luckily artificial grass is fairly simple to repair in comparison to real grass and is actually known to hold up against the damage much better. Nobody wants to play sports on dried up, brown and non-existent grass however thanks to the cost of maintaining such a large piece of land this is becoming the norm for many around the world. Swapping to an artificial turf however eliminates these worries once and for all, ensuring that you have an aesthetically pleasing green turf no matter the weather. Here at Great Grass we understand how disappointing it can be to have to cancel a sporting event due to unsuitable pitch grounds. Luckily, artificial grass is here to save the day! In fact, after years of development we now think that turfs are even more adapted for a life serving sports! To find out more information speak to a member of the team today!